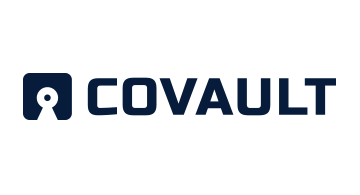 COVAULT is a proven platform technology company, successful business model that has a tremendous consumer adoption, highly expandable and capable of offering a wide range of financial services solutions to FinTech businesses, kiosk Industry, retail self-service applications, bill-payment landscape, gaming and much more. Our own BTM manufacturing makes R&D and cost improvements quick and controllable which is unique in the US Market. Unique Software Ecosystem. Proprietary Intelligence called COVAULT is a unique software tool that facilitates easy transactions for users, analyze multiple source statistics, generate leads and target offerings and connect all COVAULT products into one ecosystem. We offer 4 different models of BTM to suit market adaptability and needs. Each model has its unique strength and capabilities as needed. Reliable and Innovative BTMs. Full control of software and hardware allows to outcompete all BTM market players. Our terminals support the latest innovations in BTM Kiosk Industry in cryptocurrency landscape encompassing all AML and KYC Regulations allowing virtually all components to be covered for BTM operators with a white label solution. Facts & Figures. Headquartered in New York City ,we have over 30 terminals in the US Market since launch in June 2017 and have orders for 50 terminals on hand. The average lead time is 2 weeks. To learn more about COVAULT’s solutions, please visit http://covaultbtm.com or e-mail info@covaultbtm.com.